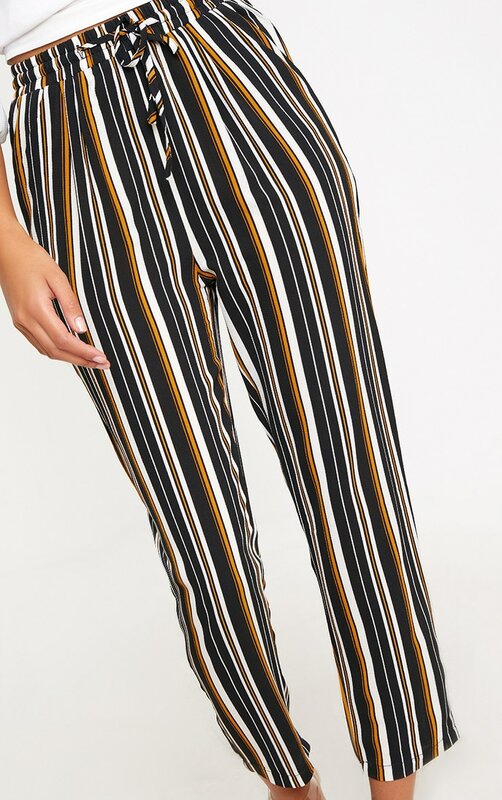 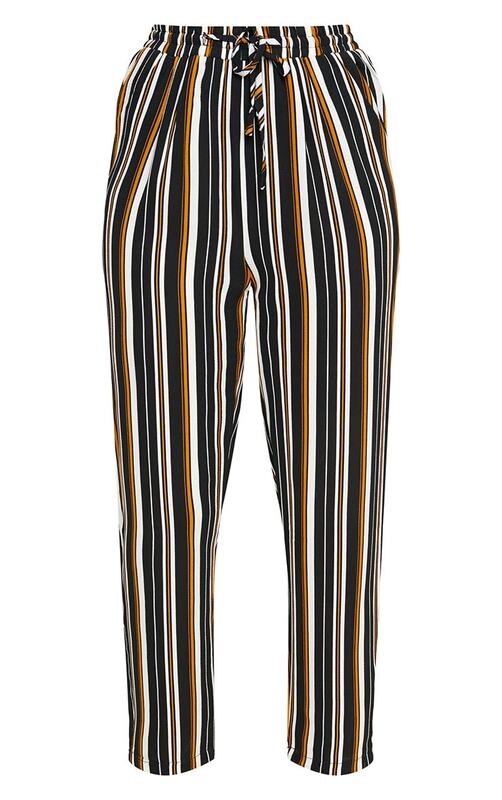 Work casual vibes in these trousers. 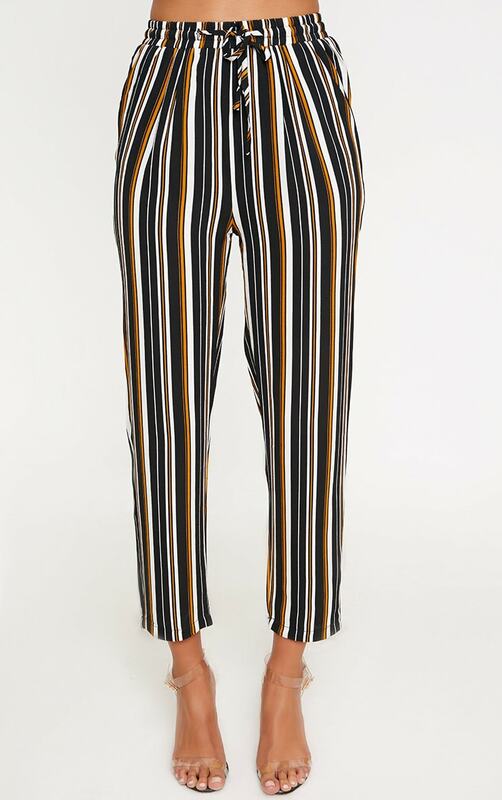 Featuring a striped print, lightweight fabric and elasticated waist - what's not to love? 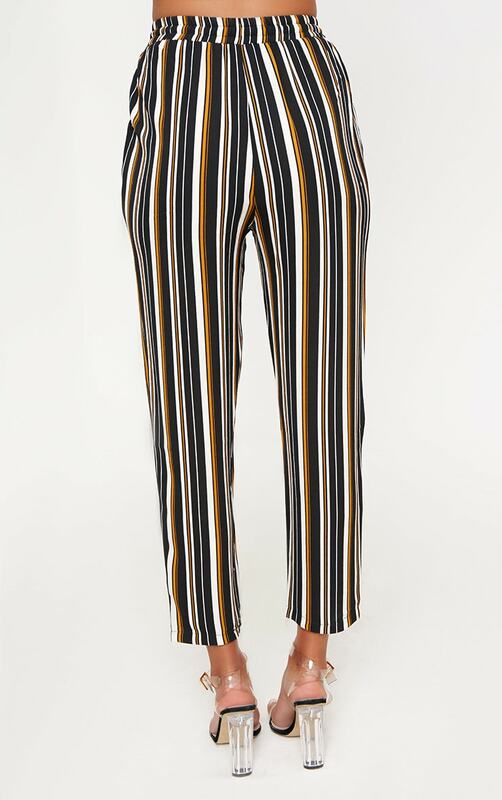 Wear with a loose fit tee and some sliders for an effortlessly cool look.